The aim of the Learning & Student Analytics Conference (LSAC) 2018 is to bring together researchers and practitioners from a number of disciplines (e.g. education, artificial technology, computer science, management, psychology, economics, IT security), organisational and national policy makers, educational practitioners, students, and employers, to share and discuss the latest research insights related to Learning Analytics. The conference further provides a platform for stakeholders to engage in critical conversations about current trends and policy requirements. This year the conference programme will give particular attention to learning practices, emerging themes, and case studies centered around Artificial Intelligence (AI). Therefore academics and practitioners alike, who are interested in topics such as self-regulated learning, the incorporation into the domain of learning analytics of novel data sources (e.g., job market data or social media), privacy and ethics, and data security, should consider submitting an abstract and attending this event. Artificial Intelligence (AI) has been identified as a disruptive force that will impact many areas of society, including education. Indeed, AI will impact every aspect across all sectors of education, ranging from pedagogy, teaching, and learning, to curriculum design or from traditional curriculum based formal education to highly personalized informal learning approaches. Involving researchers, educators, and policy makers in enabling valid, reliable, and ethical AI driven educational tools and interventions is critical. Tomorrow’s educational leaders will require strong AI literacy and related skills to ensure that systems that are deployed maximise the benefits to learners, educational institutions, and society. The interdisciplinary field of Learning Analytics has started to explore how controlled and open AI applications can benefit education and learning; often involving multimodal sources of learner data. The practical significance of developing an interdisciplinary perspective at different levels of stakeholders is corroborated by recent findings on large scale implementations of analytics in education. It is clear that the implementation of technical, behavioural, economic, and pedagogical insights into educational interventions are critical to rigorous scientific evaluation. Emerging results indicate that developing actionable interventions that scale (even with rich individual learner and learning design data), is complex, and requires substantial technological, pedagogical, and organisational expertise, and training. In addition, such policies also needs to strike a balance between student privacy and what is in the best academic interests of learners and/or institutions; adding another significant layer of complexity to the effective implementation of Learning Analytics. Many stakeholders are thus involved in -or affected by- AI and Learning Analytics, but often without being aware of it, making sustainable scaled implementation of AI and resulting learning analytics interventions in practice a challenging endeavour at best. These stakeholders include educational managers, educational designers, educational policy makers both at the organisational and regional level, student associations, employment agencies, ethics boards, data governance centres, technologists, and so forth. There is a need to involve this wider stakeholder group in this discussion, as they have urgent and substantial claims in this emerging field. Academic research: comprehensive evaluations of recent innovations in learning and student analytics. Policy debates: striking a balance between student privacy and data-driven quality improvements. Dr. McKay is Arthur F. Thurnau Professor of Physics, Astronomy and Education, and Principal Investigator of the Digital Innovation Greenhouse at the University of Michigan. In education research, he works to understand and improve postsecondary student outcomes using the rich, extensive, and complex digital data produced in the course of educating students in the 21st century. He has pioneered systems such as ECoach, a computer tailored support system; REBUILD, a college-wide effort to increase usage of evidence-based methods in introductory STEM courses, and the Digital Innovation Greenhouse, an education technology accelerator within the U-M Office of Digital Education & Innovation. Educational institutions hold equity as a central goal. Learning analytics can play a central role in achieving this goal. First, data are essential for probing equity. To provide an example, Tim will describe the discovery of a pattern of gendered performance differences in large foundational courses, both at Michigan and at an array of other Universities. Data can also help create solutions, as when we use tools like ECoach to personalize education. ECoach allows us both to learn more and to experiment with possible interventions. Research like this is essential for advancing equity. Data can also help to connect research and practice, providing the evidence necessary to motivate change, and creating the sociotechnical conditions for sustained reform. Ian Dolphin is Executive Director of the Apereo Foundation, a US registered non-profit membership organization focused on the development of innovative open source software supporting higher education. 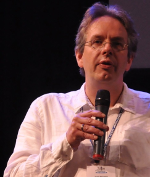 He is formerly Head of eStrategy at The University of Hull in the UK, and International Director of the Jisc eFramework Initiative. 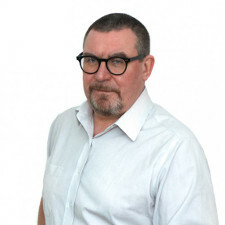 Ian has broad experience of higher education IT at a national level in the UK and internationally, having served on a number of Jisc governance bodies, and on the boards of JASIG and the Sakai Foundation. Despite the broad acceptance of Learning Analytics, the topic remains controversial in higher education. 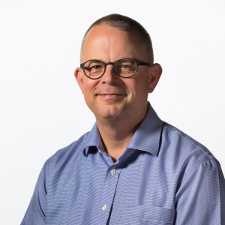 Ian Dolphin will locate learning analytics within the broader development of big data, and present perspectives on some of the controversy surrounding learning analytics drawn from early and existing practice. Drawing on the work of the open source Apereo analytics community, Ian will outline several dimensions of open practice that can help overcome faculty and student resistance to the practical deployment of analytics in the service of learning. 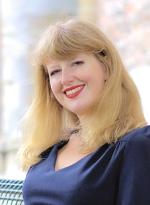 Annelies Spork, program director House of Skills Metropolitan area Amsterdam On September 1st 2017 Annelies started in the position of program director House of Skills. Annelies works for the municipality of Amsterdam and for the program period 2017-2020 she is seconded to House of Skills. House of Skills is a triple helix partnership where the partners work to establish a labour market based on skills: 21th century skills are essential to work of the future. Prior to this, Annelies was working as a senior policy advisor labour market at the Economic Development Department of the city of Amsterdam. From 2007 until 2012 she was employed by the city of Alkmaar. There she worked on labour market policy in the Noord-Holland Noord area. The types of skills needed in the labour market are changing rapidly. As such, individual workers will have to engage in life-long development if they are to remain not just employable but are to achieve fulfilling and rewarding sustainable careers. This session will showcase three innovative approaches towards sustainable skill development and matching, thereby making use of cutting-edge technologies. Innovation, ideas and visions for e-learning at the University of Amsterdam is at the core of Frank's work. His of field expertise is the introduction and implementation of e-learning solutions, trend analysis & spotting innovative and practical ICT solutions for education and research. At present he is a member of the executive staff in the position of Information & ICT Manager on Education. Grassroots are a way to promote new ideas and practices within our institutions. Teachers and students have keen inside in the new technology needs for a particular class or a series of lectures and are often initiators of the grassroot projects. Grassroots are often quite successful in realising their original goals. The challenge institutions are facing is how to develop a successful bottom approach like a grassroot programme into a sustainable driving force of introducing new possibilities and innovations in our institutions. In the session we will investigate and elaborate on the challenges several universities have experienced. The focus will be on how to be more than a niche innovation. What are triggers for change that a grassroot approach can introduce an bring to table to actually be a real driving force for a mainstream innovation process? 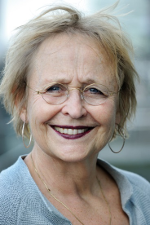 Petra is theatre-maker, moderator and lecturer specialised in future scenario’s. She is artistic leader of the Amsterdam and Budapest based art collective SPACE. SPACE has wide experience in documentary theatre and immersive collaborative storytelling in divers media. SPACE produces performances, multimedia installations, online art, living heritage apps and instant visionary fiction. Her latest project is Digest The Future a series of conversation pieces on: Who owns the future? If we can see the future we want, we can shape it too! In this interactive art and science workshop we’ll create a future scenario on AI in education. 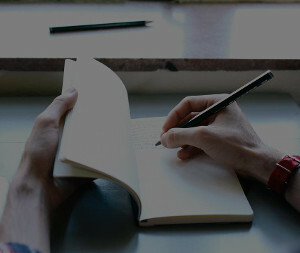 Fiction and storytelling is a widely used tool in understanding reality, often implemented in practices of –for example- (social)engineering, education or trauma processing. Mythology, traditional storytelling, hypotheses or speculative fiction have the same source and potential. They build imaginary worlds that allow unlimited but safe experimentation with thoughts and ‘wild idea’s’. During the workshop we’ll work with immersive collaborative storytelling, zoom in and reflect on the method. 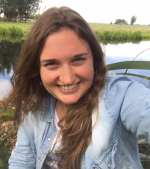 Talitha Langendam is pursuing a Master’s degree in Child & Adolescent Psychology and Family Studies (Pedagogical Sciences) at the Erasmus University in Rotterdam (EUR). She worked as a substitute teacher at the EUR and currently works as a student teacher for the Wetenschapsknooppunt EUR and observes and accompanies a child with a disorder at a school. In this school situations she encounters different educational methods and privacy issues. Bsc. Melissa de Gast is in her third year at Erasmus University Rotterdam studying Psychology. She works as a student teacher for the Science Hub (“Wetenschapsknooppunt”) EUR and supervises children with behavioural problems for BeActive. Her internship at a special school made her realise that you need to adapt to child's learning needs and personal issues. She strongly believes this in combination with unconditional positive regard is a necessity to help children reach their true potential. 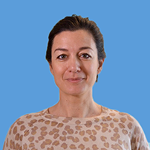 Tijana Breuer is a senior policy analyst at the Ministry of Education (Inspectorate) with professional experience in research, public sector and international organizations (OECD and the World Bank). She is currently leading the external collaborations program from the Educational Inspectorate. The program is a platform where policy makers and academics work together to create innovative approaches to policy and educational system level assessment. She studied economics in Amsterdam and Milan and holds a PhD from the European University Institute (EUI) in Florence. 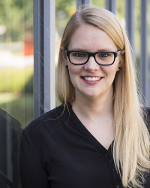 Maren Scheffel is an assistant professor within the Technology Enhanced Learning Innovations (TELI) department of the Open Universiteit’s Welten Institute, the Research Centre for Learning, Teaching and Technology. With a background in computational linguistics she started to work in the field of technology-enhanced learning in 2009 and has since then been involved in the coordination and management as well as the research work of several European projects (ROLE, LACE, SHEILA, Competen-SEA). For her PhD that she obtained from the Open Universiteit in 2017, she developed the Evaluation Framework for Learning Analytics (EFLA). Next to progressing this work further, her research now also delves into the connection of learning analytics and learning design as well as visualisation techniques for dashboards. Maren has organised workshops and conferences and has served as a reviewer for journals and conferences on many occasions. 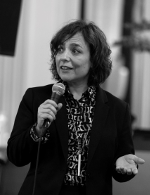 She is member of the editorial board of the Journal of Learning Analytics, of the SoLAR SIG LACE, of the SoLAR inclusion committee and is vice chair of the SURF SIG Learning Analytics. Registration is possible from June, 2018. The full registration costs for the 2-day LSAC conference will be 120 euro. This includes the conference dinner, lunches and refreshments during the meeting. For PhD-students, a reduced fee of 80 euro applies. For non-PhD students, a special ticket (not including conference dinner) of 25 euro is available, conditional upon being able to present a valid student ID card at the conference’s registration desk. We are also in search of a handful of dedicated student volunteers to help us out on the days of the conference. Are you interested in volunteering at this event –and in exchange be able to attend parts of the conference yourself- please email us at LSAC.FGB@vu.nl (please include your name, university, program, student ID and a short motivation on why you’d like to volunteer as well as your availability). The organisers welcome extended abstracts (max 750 words) for the academic research parallel sessions and for the applied sessions. The practitioner’s sessions focus on practical problems, solutions and innovations related to the aforementioned categories. The academic submissions should be state-of-the-art learning and student analytics research. All submissions should follow this template. All abstracts will go through a blind peer-review process. You have an opportunity to submit proposals for research questions to be addressed and explored at Hack@LSAC18 the first of a yearly hackathon event of the Learning & Student Analytics Conference (LSAC) conference. By linking to other Learning Analytics Hackathons we intend to amplify messages around actionable research themes. We are looking for short papers following this template with a length of 2 to 3 pages including references. 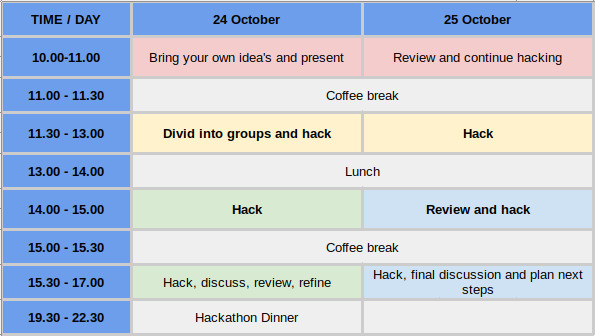 The paper’s purpose is to set a research question(s) that are relevant for the hackathon, provide context through the referencing of previous research and explaining the targets you wished achieved and the potential impact on open source software, standards, best practices. All abstracts will go through a peer-review process. 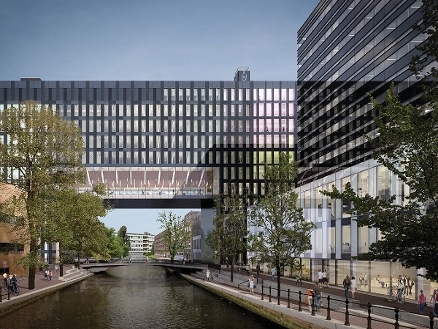 For hotels, the UvA usually recommends these: Volkshotel, the Bridge Hotel, Casa 400 and Hampshire hotels. Copyright © Vrije Universiteit Amsterdam 2018 - Faculty of Behavioural and Human Movement Sciences. A confirmation email has been send to your emailaddress.